Annual lists are arbitrary things. Bound to an individual's inevitably subjective and often changeable perspective, astrologically obsessed with the passage of the Earth around the Sun, and creating an artificial hierarchy between artworks that merit better than the butcher's crudity of such qualitative comparison, they reveal practically nothing meaningful or profound about the state of moviedom. Rather, these lists are frivolous, carefree pastimes - graffiti on the wall, notches on the bed, all marking a mere moment of experience in the universe (of film), and declaring one viewer's fleeting attachments to twelve months' worth of flickering, ephemeral projections. All of which is also, of course, precisely what gives these lists their value. They are lone cries in the darkness, and assertions of singularity and self - as well as celebratory dips into cinema's moving stream. Your list will no doubt be different. Here is mine. For the sake of simplicity, I have restricted my choices to actual UK theatrical releases in the year 2014. Bruno Forzani and Hélène Cattet's follow-up to Amer (2009) retains the first film's giallo stylings, while shifting its focus from female to male experience, and stacking its multiple, multimedia stories in a Chinese box structure that is mirrored by the labyrinthine architecture of the Art Nouveau buildings in which they take place. As Dan Kristensen (Klaus Tange) searches for his missing wife Edwige, it becomes apparent that this quest will be taking him to the dark, hidden spaces of his own confusingly compartmentalised psyche, where a boyhood experience of abjection has permanently skewed his perspective on both women and himself. The result is both an immaculately crafted, highly sensual filmgoing experience, and a narrative puzzle whose intricate, interconnecting parts are best reintegrated by multiple visits. Shot over 12 years, Richard Linklater fictionalises young Mason's rites of passage from boy to man while documenting the actual on-screen development of actor Ellar Coltrane and the other cast members. Time and change are the universal themes here, embodied and particularised in Linklater's dramatic study of a divided and mildly dysfunctional family - and although it is called Boyhood, Linklater's democratic approach to event and characterisation ensures that it might equally have been called Girlhood, Fatherhood or Motherhood. This is one for the (and all) ages. 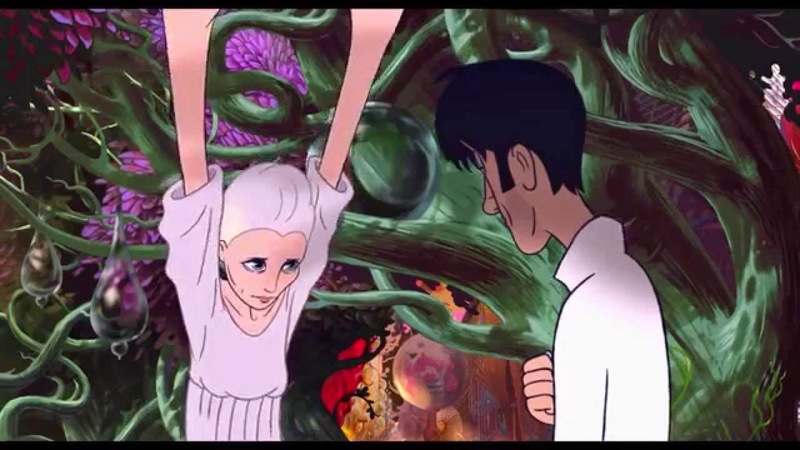 This half live-action, half animated fantasia is drawn by Ari Folman from a Stanislaw Lem novel, but Lem's 1971 original was not so prescient as to include a semi-fictionalised Robin Wright as its protagonist. Here Wright struggles to keep a grip on her identity in a developing dystopia where movie stars like herself are replaced with eternally youthful digital simulacra and people live out their lives in a synthetic mindhive. Both sci-fi and metacinematic documentary, The Congress is a hallucinatory vision of our new wired world - and yet for all its overt artifice, it locates a sense of loss that feels all too real. To date, Moebius is Kim Ki-duk's only comedy to date - albeit a castration comedy. In keeping with its title, it is a twisted, circular tale of eros and emasculation, in which a family of three is undone by biological imperatives and errant desires. An outrageous Oedipal psychodrama that rubs and chafes against Buddhist parable, it also chooses, without a single line of dialogue, to show rather than tell its jaw-droppingly transgressive acts with Chaplin-esque distance. So Moebius isThe Artist for deviant adults - a modern silent movie addressing painful truths about our inherited passions. Nawapol Thamrongrattanarit arrived in the UK this year with not one but two ludic features, which I am including together here because 1) I am indecisive and 2) both play a numbers game. His debut 36 (2012) uses just 36 fixed shots - the same number as is found in a conventional photographic film roll - to tell the elliptical story of a snap-happy location scout's attempts to recover digital files and love (both lost). 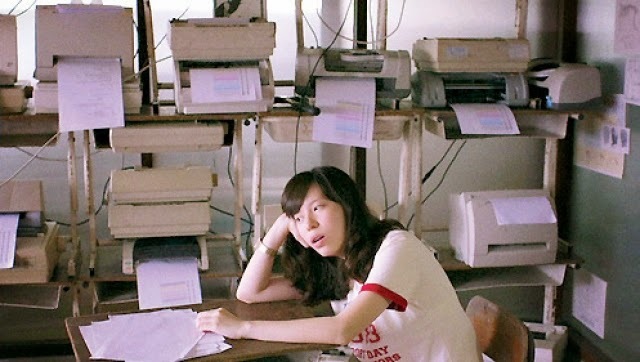 Mary Is Happy, Mary Is Happy (2013) is a teenage girl's coming-of-age story, surreally reconstructed from 410 of a young Thai woman's consecutive tweets (which regularly punctuate the screen as a dynamic counterpoint to the events that we see). Both films anchor their formal experimentation with an aching melancholy, and showcase the talents of an emerging, original artist who will hopefully be with us for years to come.